96 pp. 18,5 x 23 cm. Henri Rousseau (1844-1910) emerged from humble circumstances - reflected in his nickname, "the customs official". An employee in the Paris customs bureau, Rousseau was an autodidact who incrementally worked his way into a position among the artists who were renewing the art world at the turn of the century. It was a difficult journey - for years the art world laughed at the layman's flat, icon-like figures, simple landscapes and, in his late phase, exotic jungle scenes. However his "naive" compositions in fact became an emblem that piqued the interest of the avant-garde. Rousseau's jungle paintings consisted of ornamental variations of plant leaves, among which he set brilliantly coloured predators, natives and naked beauties. In so doing, the artist evinced intuitive principles of design and compositions, which subsequent avant-garde artists had to work out for themselves with great effort. Ultimately winning recognition as an uncompromising modernist, Rousseau inspired comparison with Derain, Cezanne, Matisse and Gauguin. He became acquainted with Apollinaire, Delaunay, Picabia, Brancusi and other important figures; in 1908, Picasso held a legendary banquet in his honour. 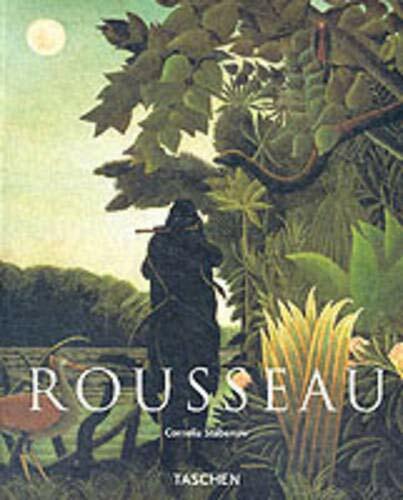 Today, "Rousseau's myth," a fascinating mixture of primitive idyll and flight from civilization, of concrete and abstract, holds a secure place in the history of art.